[media-credit name=”ENC Graphic Services” align=”alignleft” width=”194″] [/media-credit]”I had the pleasure of reading an Advance Reader Copy of Bear Claws (Book Two in The Iron Horse Chronicles), by Robert Lee Murphy. 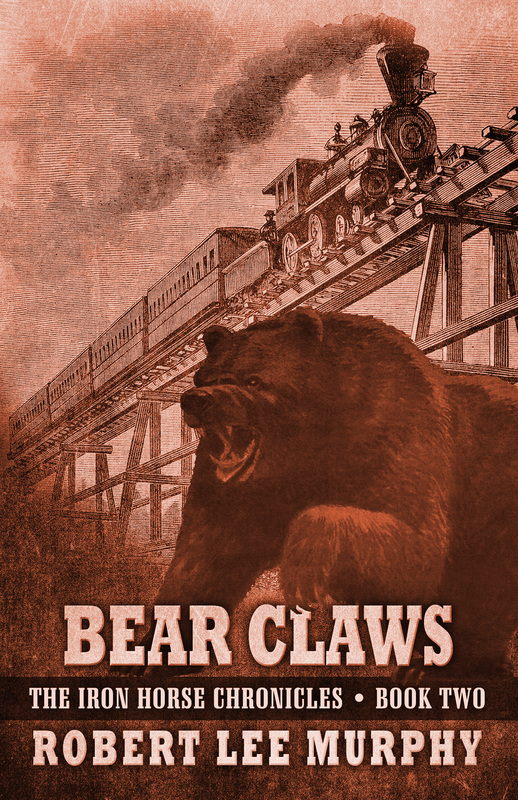 In Bear Claws, Murphy continues the well-developed storyline he created in Eagle Talons about the challenges of the Union Pacific Railroad’s march across the Rocky Mountain West. This entry was posted in Bear Claws - Book Two, Book Review, Eagle Talons - Book One, Iron Horse Chronicles' Characters, The Iron Horse Chronicles, Transcontinental Railroad, Union Pacific and tagged Adventure Fiction, Bear Claws, Eagle Talons, Fictional Character, First Transcontinental Railroad, Five Star Publishing, Frontier Fiction, Historical Fiction, Middle Grade Fiction, Paddy O'Hannigan, Sample Chapters, Teen Fiction, The Iron Horse Chronicles, Western Fiction, Westward Expansion (1867-1869), Will Braddock, Young Readers. Bookmark the permalink. Great attention for your Great Trilogy!